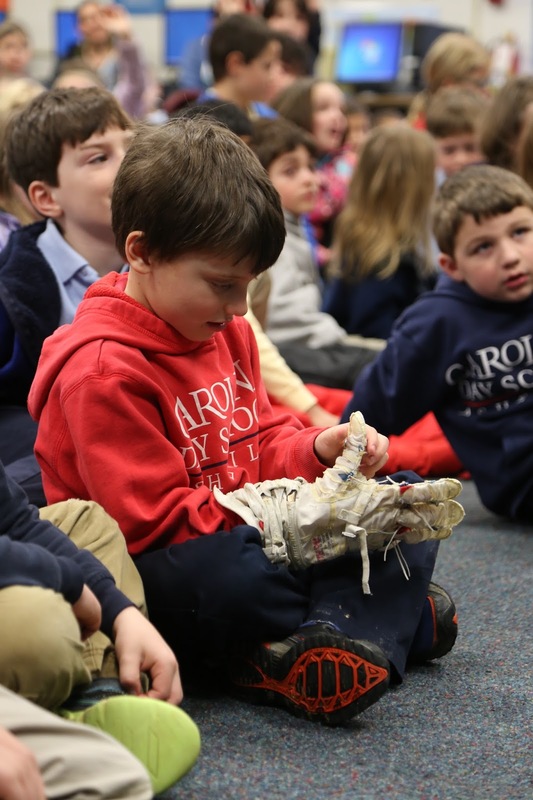 Carolina Day School Kindergarten through seventh grade students got a glimpse into what it’s like to be an astronaut with NASA’s Shane McFarland. McFarland is a project engineer for NASA’s Johnson Space Center on spacesuit and spacesuit technology development. 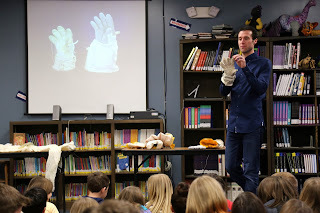 He gave an interactive presentation about some of the projects he is working on, including a revolutionary space suit to be used to send an astronaut to Mars. Students got to hold pieces of space suits, from gloves, boots, to hydration pouches. All pieces of hardware came from suits either used for testing or sent up to space. With each item he passed around, McFarland pointed out in pictures where the piece comes from on the actual space suit. Students asked a multitude of engaging questions, including aspects about what McFarland does, how astronauts eat in space, why space suits are always white, and future missions to send humans to Mars. Students were most excited about McFarland’s answer that NASA plans to send astronauts to Mars by 2035, and that it’s possible for them to become astronauts and one day go to Mars.